A swimsuit– or two!– comes in handy for long, relaxing days at the beach. You’ve got your flight booked, your hotel reserved, and your neighbor lined up to feed your cat. You’re ready to go on your trip to Maui! Except that whole packing thing. If it’s your first time, you might be feeling a little lost, so here are some things to keep in mind. For the most part, some t-shirts, tank tops, and a few pairs of shorts will get you through your vacation. You’ll want to dress comfortably to enjoy shopping, sightseeing, whale-watching (December through April), and touring the beautiful Island of Maui. Toss a light jacket or sweater in your totebag in the morning, and you’ll be set for the day. There are a few exceptions, though. If you plan on a few evenings out at some of Maui’s spectacular fine dining spots, pack something a little dressier—what most cruise ships call “resort casual.” Guys, no ties are required, but a collared shirt and a pair of khakis will make sure you feel comfortable at even the most exclusive restaurants on Maui. Ladies have a little more freedom, but something more than a swimsuit cover-up is required at many places. If you’d rather not worry about packing something dressy, pick up a cute but classy tropical dress at your first opportunity while you’re here, and put it to good use during your stay. 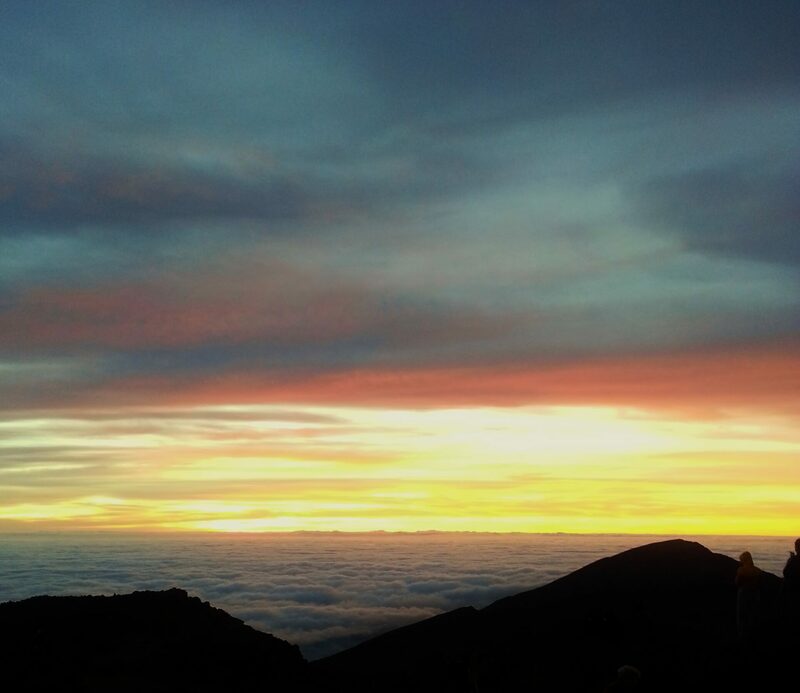 Remember to bundle up for your Haleakala Sunrise experience! Another exception is your Haleakala Sunrise Tour. Make sure you pack some layers! It can get into the thirties or below at the summit of Haleakala, and that’s before wind chill, so pack some colder-weather gear. We know you’re not going to want to concentrate too much on your clothes that early in the morning, so fold your jeans, sweatshirts, and even gloves or mittens somewhere easy to grab the evening before, so you’re not fumbling around in your suitcase during the wee hours. 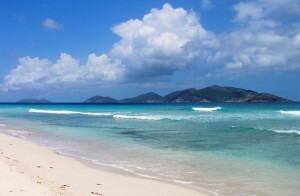 Of course, pack a swimsuit (or two!) for taking a dip in your hotel’s pool, for long days on the beach, and for your Hana tour. Don’t pass up the opportunity for that enviable photo—you (and your honey!) taking a relaxing swim under a fresh, natural waterfall in a tropical rainforest. Don’t forget sunscreen! If you wait until you get here, be ready for your resort’s shop or surrounding areas to charge a hefty premium on this vital necessity. Also, if you’re like me, you’ll want to “go directly to pool, do not pass go” as soon as your suitcase hits the floor of your hotel room. You’ll be using it throughout your trip—at your resort, shopping, and during your visits to both Hana and Haleakala. Buy it new, and pack it in a plastic bag in your checked luggage—just in case. Finally, your footwear! For hikes and adventures like the Kapalua Ridge-Trek, Haleakala Sunrise, or even a trip into the natural lava tubes, you’ll want sturdy, closed-toed shoes and well-fitting socks. Apart from that, you’ll probably feel comfortable in your flip-flops (or, as we call them, slippers) most places. Pack your favorite summer sandals, or invest in a good pair while you’re here, and you’ll be channeling your island attitude for years to come.